The second London Weston A Price Foundation conference was held on Saturday 26th March 2011. Really informative presentation and so easy to follow thanks to your presentation skills. Just one request, if I may: I got the DVD of the conference and I had a look at this website – couldn’t find the references. I am particularly interested in Franz 2007 about diet failures. Are they available somewhere or would you be able to send a list? Hi Rene – thank you for your kind words. – sadly not available on open view. I bought a copy and it was worth it! 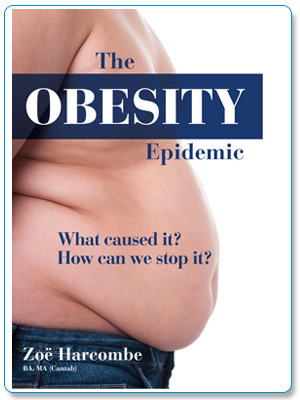 Below is an extract from my book The Obesity Epidemic: What caused it? How can we stop it? where I discuss the study – this may help. The chart doesn’t replicate – but you can see this on the presentation. “The Stunkard and McLaren-Hume review was effectively updated in 2007. There is an excellent and exceptionally useful review presented in the Journal of the American Dietetic Association (2007). Marion Franz and seven colleagues performed a systematic review of 80 weight loss studies, grouped into eight different categories, including only those trials with a one-year follow-up. The studies were all from the period January 1997 and September 2004. 26,455 participants were enrolled in the studies. At the one-year follow-up, the attrition rate was 29% across the studies. Overall attrition was 31% at study end regardless of follow-up timing. The eight categories were (the number of studies in each category is noted in brackets): advice alone (28); exercise alone (4); diet alone (21); meal replacements (7); diet & exercise (17); very low energy diets (11); orlistat (13) and sibutramine (7). (The 28 studies for advice alone were not counted as part of the 80 studies, as they represented the baseline). Figure 2. Average weight loss of subjects completing a minimum 1-year weight management intervention; based on review of 80 studies (n=26,455; 18,199 completers). The original chart is in colour, making the eight interventions easier to distinguish. In Figure 2, reproduced with kind permission from Elsevier: the top line is advice alone; the second pale line, ending at 12 months, is exercise alone; the next line down is diet alone; the darker line ending at 12 months is meal replacements; the line that continues to 48 months, and is third of the four lines at 48 months, is diet & exercise; the line that dips to minus 17.9 kilograms at six months is the very low energy diets; the final line that continues to 48 months is orlistat and the only line ostensibly moving down at 24 months is sibutramine. Before you rush out to get sibutramine, which traded as Reductil (amongst other names), please note that it was withdrawn under a European Medicines Agency directive on 21 January 2010. Following concerns about the risk of cardiovascular events, such as heart attack, stroke and cardiac arrest, the SCOUT study (Sibutramine Cardiovascular Outcome Trial) was started in 2002. Approximately 9,800 patients were followed up over six years with the conclusion that the increased risk of serious cardiovascular events was not outweighed by the “modest” weight loss achieved – two to four kilograms more than with the placebo. It should also be noted in Figure 2 that only one of the seven sibutramine studies had data at 24 months, so the apparent ‘bucked trend’ is a data point for one study, which recorded weight loss at 6 and 12 months as 12 kilograms, so this was a regain for that study. Fennel – we here in the US have terrible treatment for thyroid disorders as well. I chalk it up to some of what you mentioned about generating more diseases that are highly profitable, and also a prevalence of the “Good Ole Boy” school of thought that has not done any modernized housekeeping of thyroid treatment theory for many years. I have been treated for three symptoms that together point to hypothyroidism, without actually ever having my thyroid treated, even though my thyroid its self has always been identified in manual examinations as being “enlarged”. I have been treated, over the past 15 years, for polycystic ovary syndrome, obesity, and insulin resistance, all three being markers for hypothyroid, especially when viewed together. My option at this point is to visit a naturopath, which my insurance does not pay for, so that I can be adequately treated and healed. I can only hope that this changes at some time in the near future, as it seems to be a condition plaguing more and more adults each year. Bless you, sweet fennel, for your succinctity! Have recently chased a tumour from my lung. it was diet that did it. On the journey I developed a deep and venomous suspicion of the relationship between the pharmaceutical companies and the NHS. Nice, isn’t it? thanks for a brilliant presentation that explains such a lot of things. I have always followed the guidelines put out and thought it was the right thing to do, wondered why I was not well and why I have a hypothyroid problem. I have eaten the soy, the cereals, low fat, margerine etc and now that the internet is available it is so obvious how we are conned, but it was not obvious before as I trusted the authorities to be truthful. Now I am ill I realise how I got there, and how the pharmaceutical companies are keeping us there so as to profit from our suffering. The NHS do not treat hypothyroid patients well, we are deliberately neglected so that we can develop further illnesses that are very profitable to treat. In the UK you have to have a Thyroid Stimulating Hormone of over 10.0 to get treatment, in other countries the range of normal only goes up to 2.5 or 3.5 before you get treatment. I think a lot of people with chronic fatigue are hypothyroid patients that are within the ‘normal’ range on the blood test, so are denied treatment. There is a lot of research money going to the psychiatric people for chronic fatigue. Dr Sarah Myhill is successfully treating these people with nutrition and is being persecuted by the GMC because of it. Dr Skinner is also in trouble with the GMC for saving lives by prescribing natural desiccated thyroid instead of levothyroxine. Untreated hypothyroid patients are obese, dieting won’t help, and they develop heart disease and many other illnesses, you feel like you are falling to pieces. I wish there was a way to warn people of what is going on, but most people will trust what they read in the papers and what is on the telly. We are all victims and are being used to increase the wealth of those academics and businessmen who have no morals, and who happily watch people’s suffering in exchange for money.